Are mobile stores Tesla’s secret weapon? Betteridge’s law of headlines tells us that any headline ending in a question mark can be answered by the word no, and this one is no exception. During the earnings call discussing Tesla’s fouth quarter results, Elon Musk, Tesla’s CEO, said they had “a secret weapon on the demand side” and that it could “work against the dealers”. 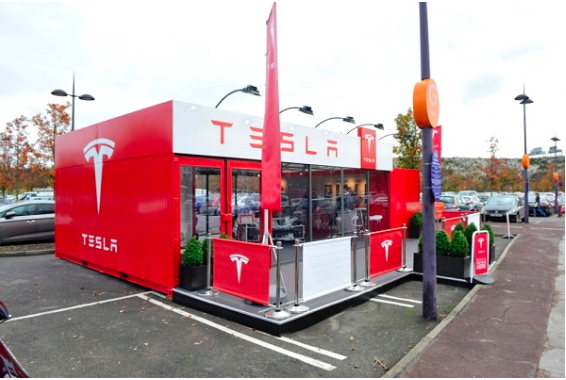 Yesterday, Tesla unveiled in Santa Barbara a “mobile store” which deploys out of a container. Some publications started speculating that this could be Tesla’s “secret weapon” against dealerships. It’s most probably not the case.